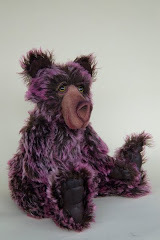 Meet my latest bear 'Bernard'.........'Bernie' to his friends!! 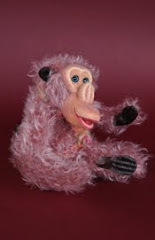 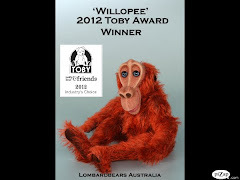 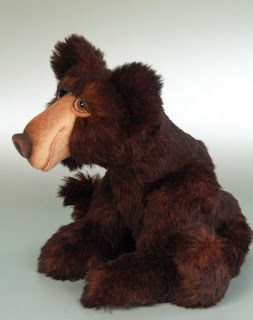 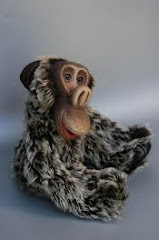 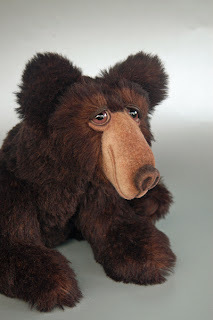 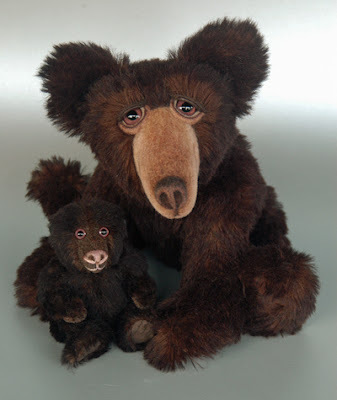 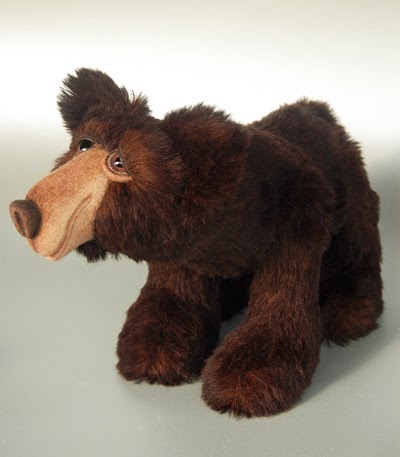 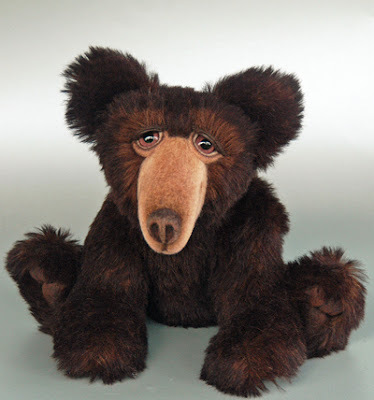 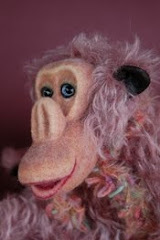 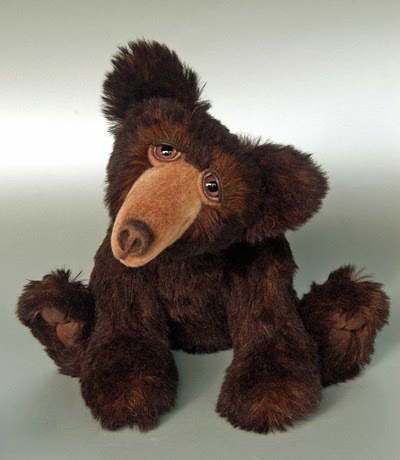 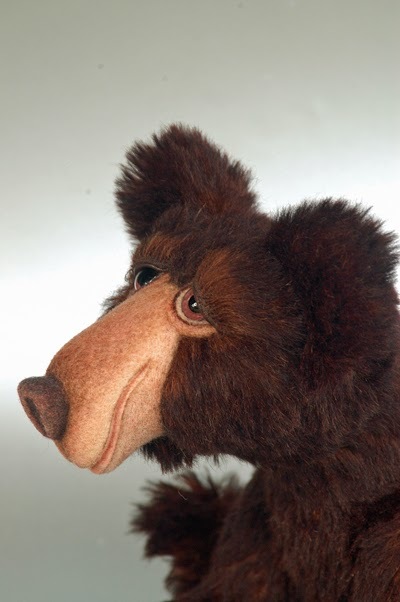 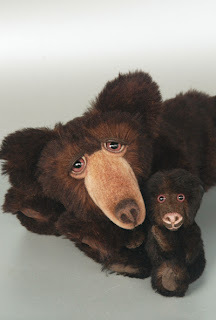 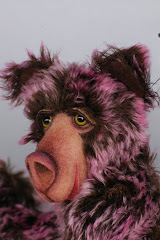 He is a OOAK Lombard Bear made in the more realistic new design I am working with this year. 'Bernie' is 17 inches from the tip of his nose to his tail and made from a gorgeous long black tipped aubergine alpaca fur. 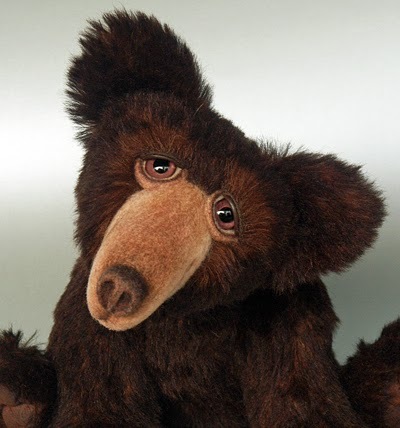 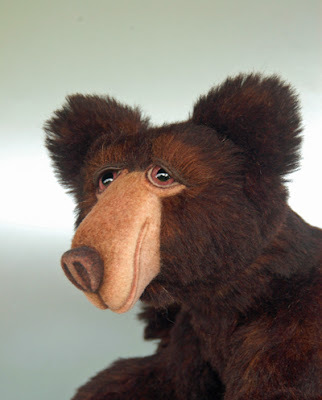 He has deep rust coloured worn leather, pulled paws and his nose and muzzle are needle felted to a tight finish and then shaded with inks to bring out all his character .Bernie is six way jointed and has a double neck joint giving him a more realistic pose.He has beautiful glass eyes from the UK that are a gorgeous mauve colour. 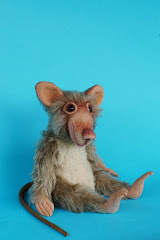 His legs have lockline inside so he can be posed standing on all fours. 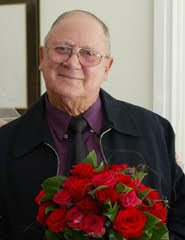 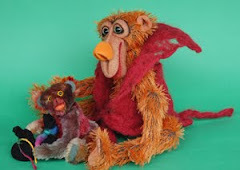 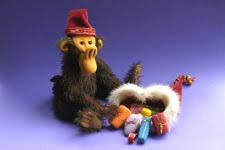 He is pictured with Gondo who is also available. 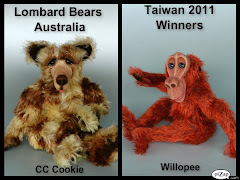 Will sell together!